The Stereo Attachment Kit for Zorki cameras was made by KMZ in 1955-1960, and, according to J-L. Princelle, only "some thousands were made". 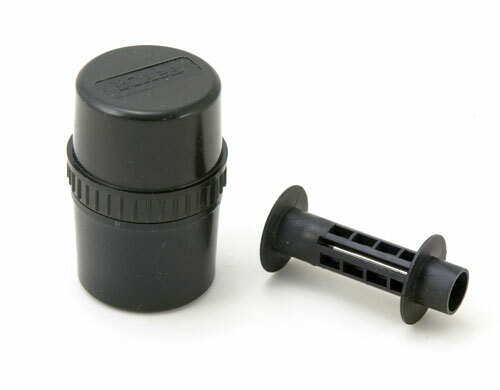 This accessory is uncommon and is very difficult to find. It is a very desirable addition to your Russian camera collection. The attachment is basically a set of prisms mounted in an aluminum alloy enclosure. A camera is attached to the baseplate of the prism assembly. A 24x36 mm frame now accommodates two images, 16x23 each. The stereoscope is nicely made, it is adjustable and can be also folded in a compact unit. The Stereo kit was intended be used with the following cameras: Zorki, Zorki-2, Zorki-S, Zorki-2S. Of course, any compatible camera (like FED) can be used as well. I also used it with my Leica IIIa. 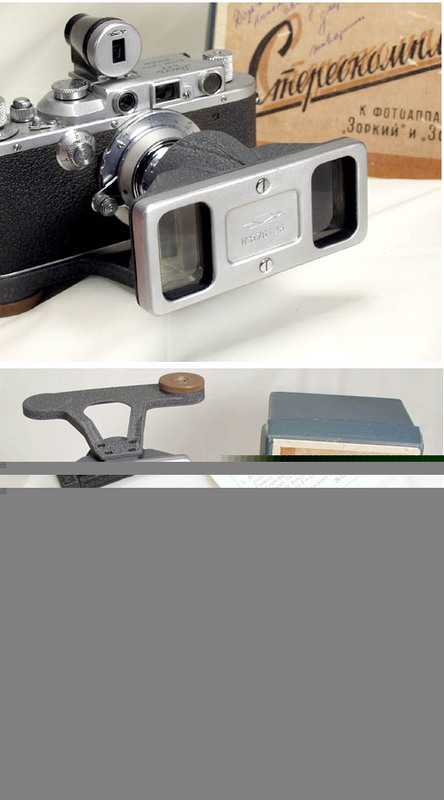 The Leica IIIc has a slighly wider body and does not fit in the mountiong shoe. Of course, Leica II and its derivatives would mount properly. Original factory passport with the serial numbers of the stereo attachment and stereoscope. About this particular set. It was made in 1957 by the KMZ factory near Moscow. It is in exc. condition. The cement used to glue the prisms turned yellowish from time in some spots (it is still clean and transparent). I saw this with all Zorki stereo sets I've seen so far (5). The stereoscope is clean and complete, shows little use. It has a nice and attractive crinkled paint finish. Please note that the camera and lens are shown for illustration only and are not included. This is a very good way to try stereo photography with a Zor ..